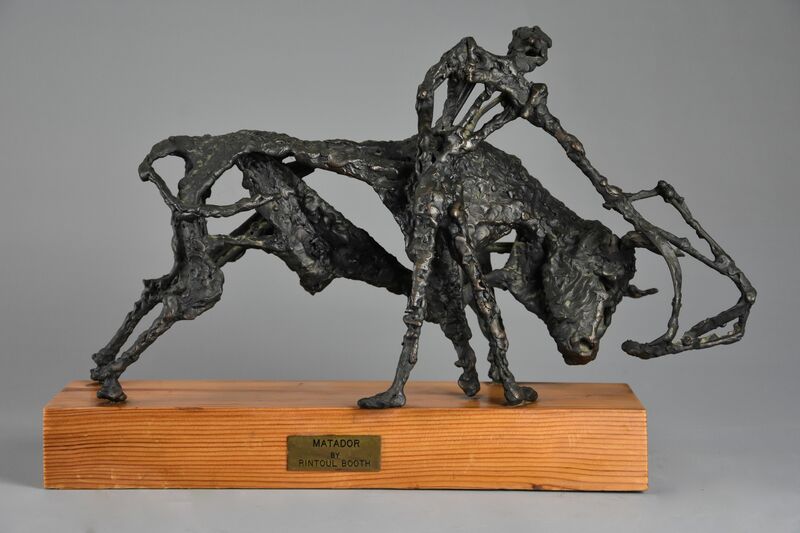 This bronze portrays a bronze Matador (or bullfighter) holding his cape near to the bull, supported on pine wooden base with brass plaque. 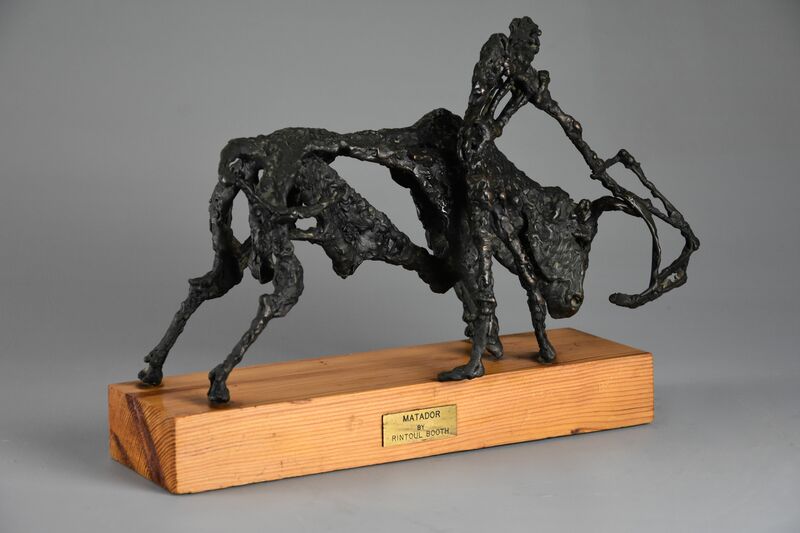 The sculptor, Daniel Rintoul Booth (1932-1978) was born in Australia, the son of a priest, the family moved back to England in around 1937. 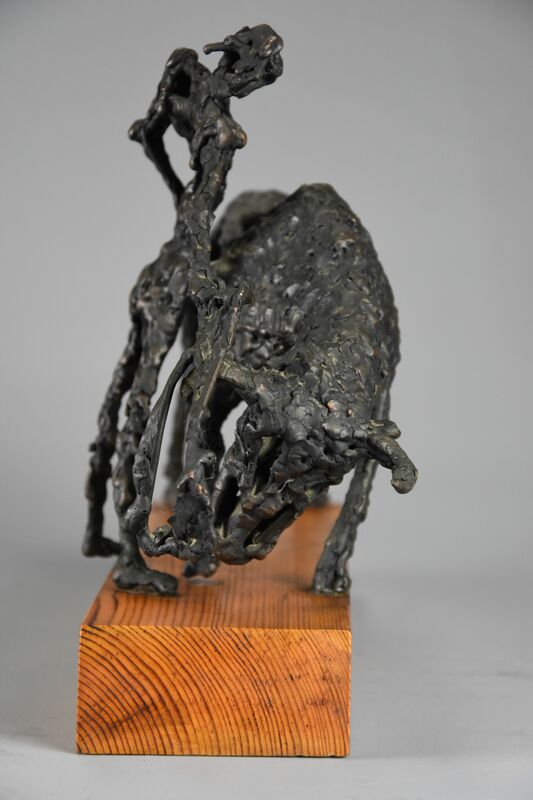 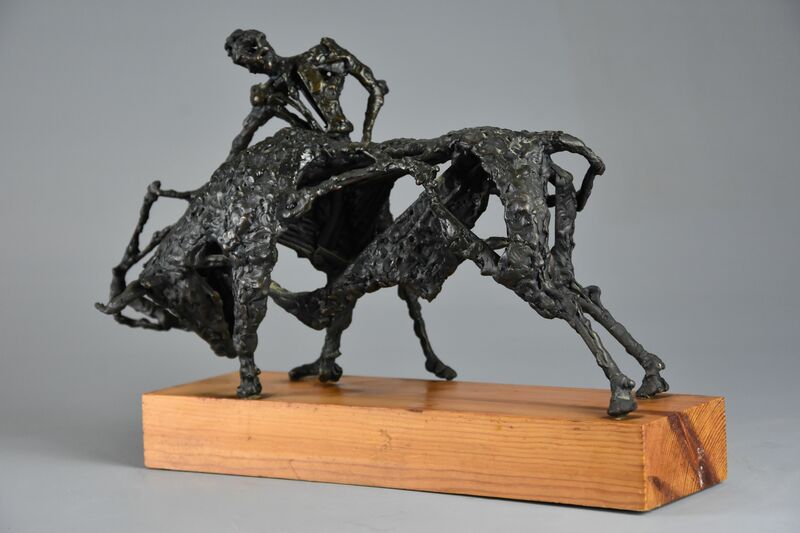 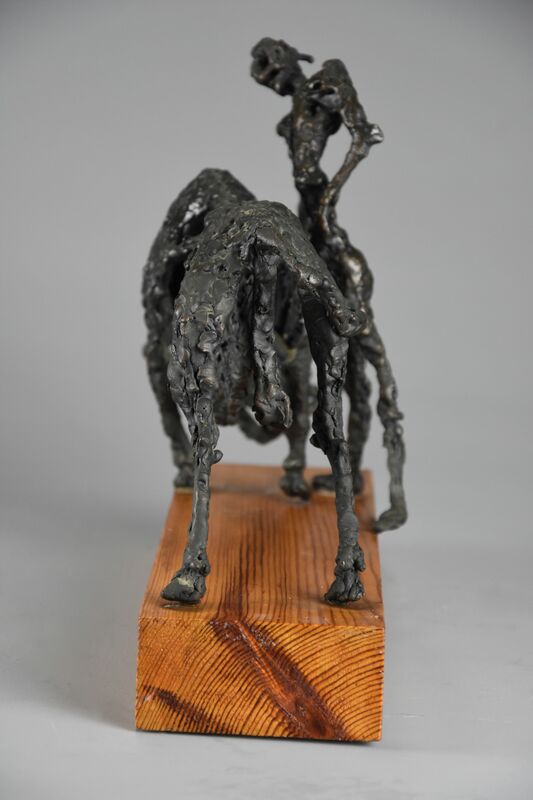 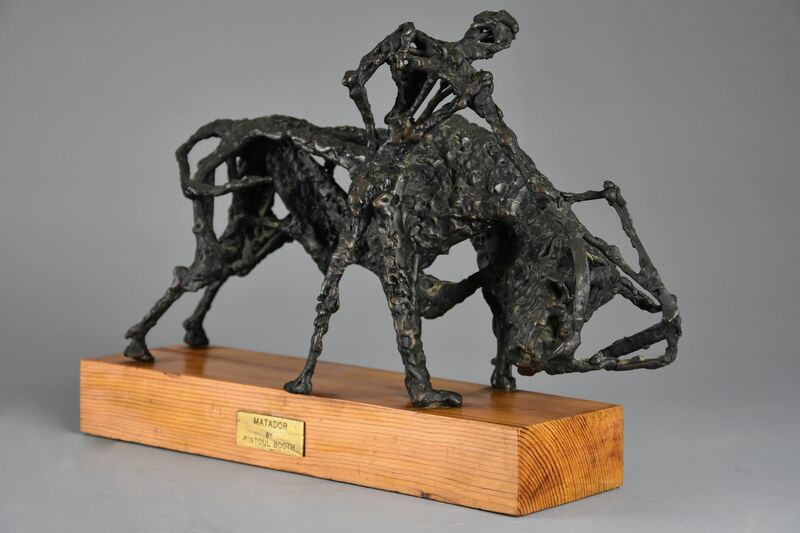 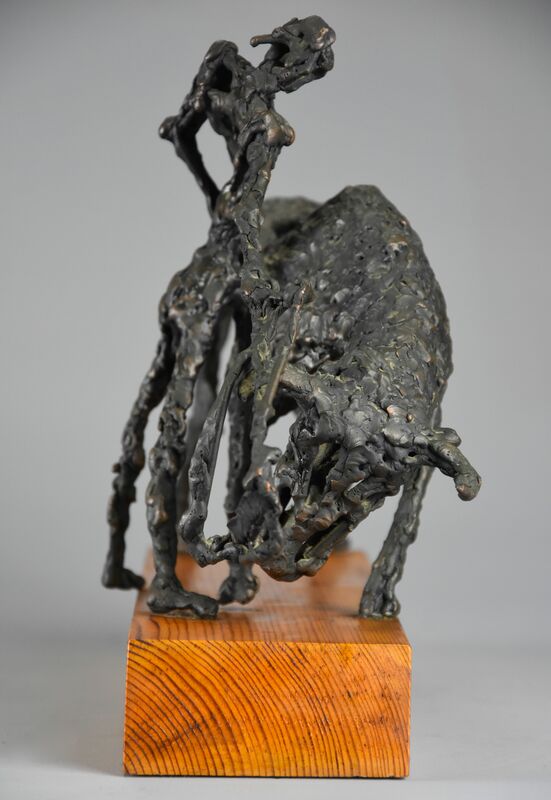 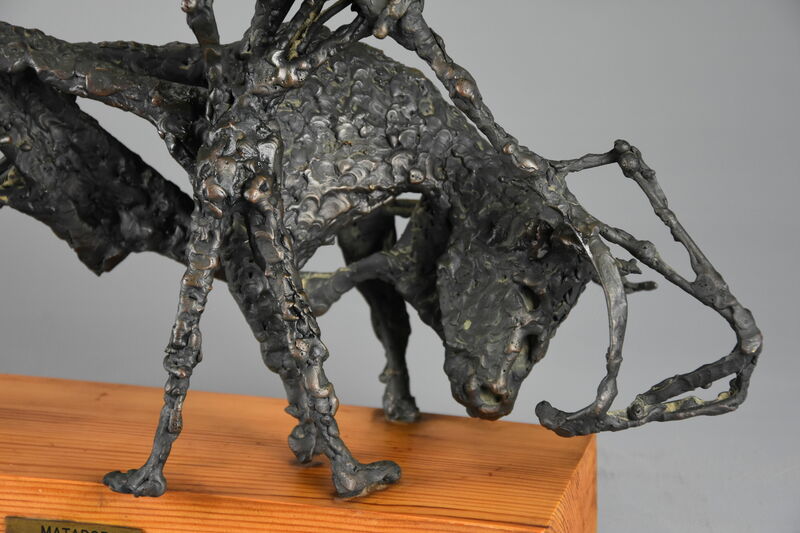 Daniel was an agricultural journalist and sculptor producing works in unusual mediums such as brass rods and wirework bronze as well as bronze, particularly known for works of horses and bulls. 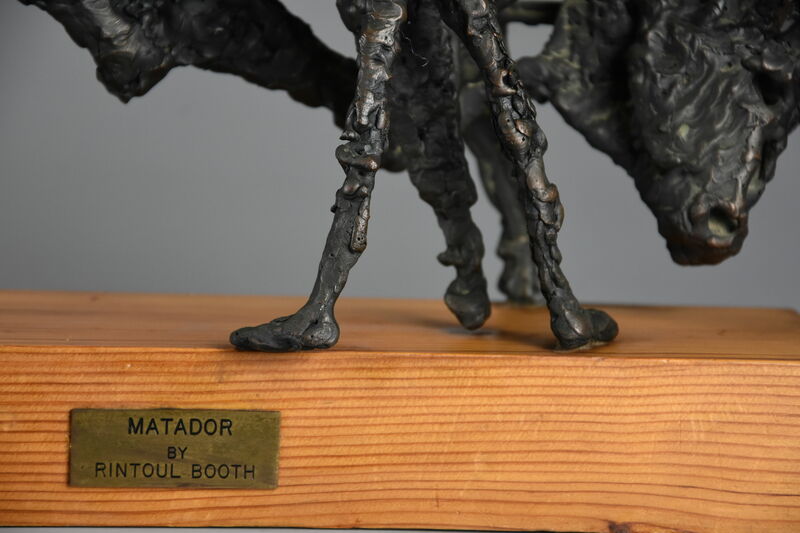 He became Agricultural editor of the East Anglian Daily Times newspaper in Ipswich, Suffolk in 1960. 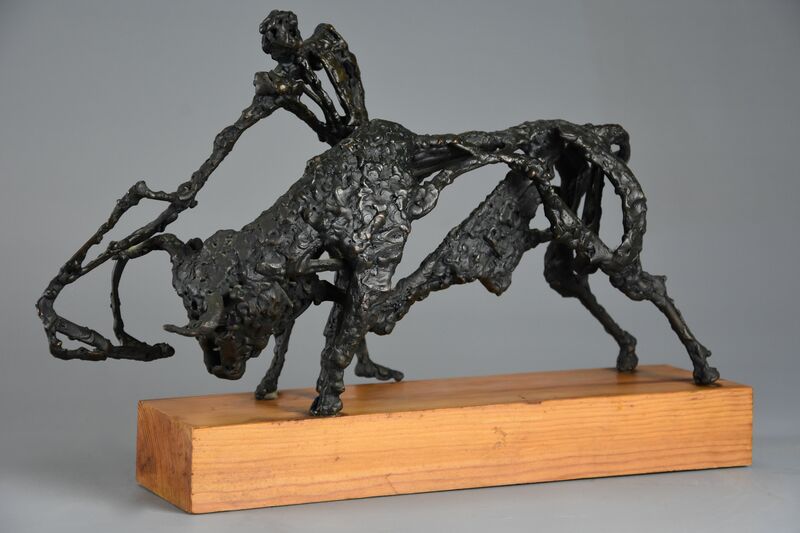 A large iron sculpture of a 'Black Bull' by Rintoul Booth can be seen at the entrance of Otley College, near Ipswich, Suffolk.